Article Excerpt: "... Why the Rocket City? Because that’s where scientists developed the Saturn V rocket that carried Eagle Scout Neil Armstrong and his fellow space pioneers to the moon. 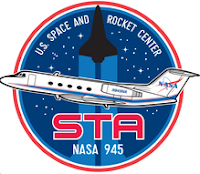 Fifty years after that historic day, the Rocket Center, home to Space Camp and one of just three remaining Saturn V rockets, will host a series of epic events to honor the golden anniversary..."
Article Excerpt: "... The first panel is entitled “Ready to Fly” and the second panel is called “Ready to Explore”. “The Rocket City is the natural summit for the National Space Council,” Dr. Deborah Barnhart, CEO, and Executive Director of the U.S. Space & Rocket Center, said..."